I’ve always wanted to visit Santorini. The beautiful cobalt capped white buildings and seas have always been something that I have wanted to see. 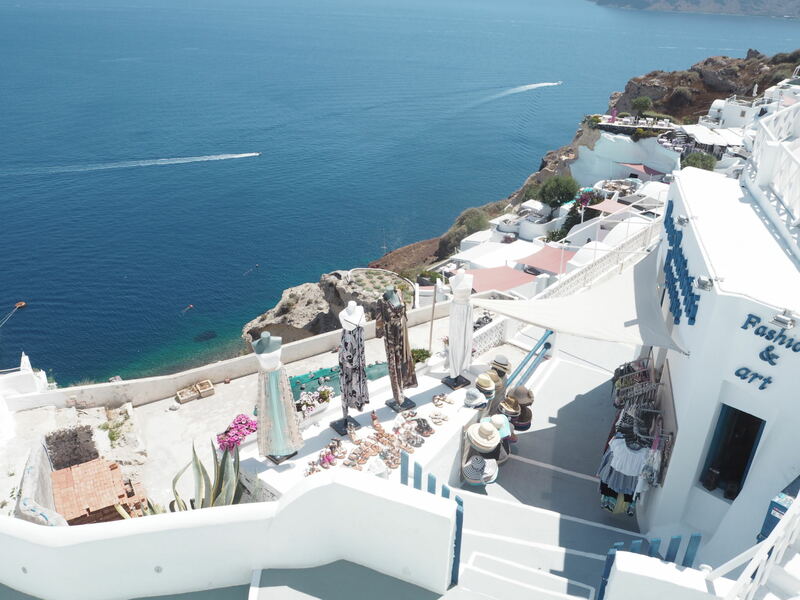 And when I finally got to visit Santorini and have my “bucket list” moment, I felt disappointed. Really disappointed. Sure, it was beautiful. But there wasn’t much to do other than drink cosmopolitans. Or take pictures of yourself and then watch people taking pictures of themselves. Which is fine, I guess I just expected more from Santorini because so many people rave about it. If you go on Instagram you’ll see thousands of beautiful pictures taken in what looks like the most magical Island. 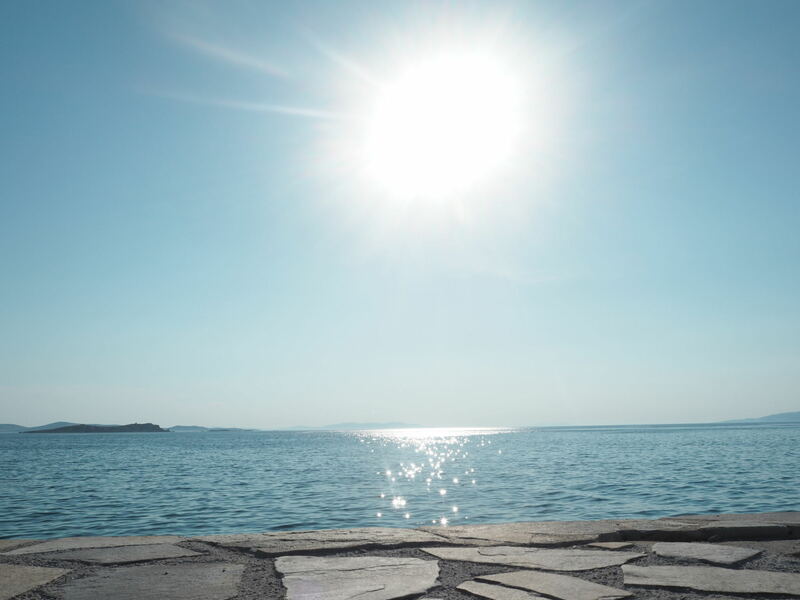 But when I got there I felt like something was missing and I found that something in Mykonos. 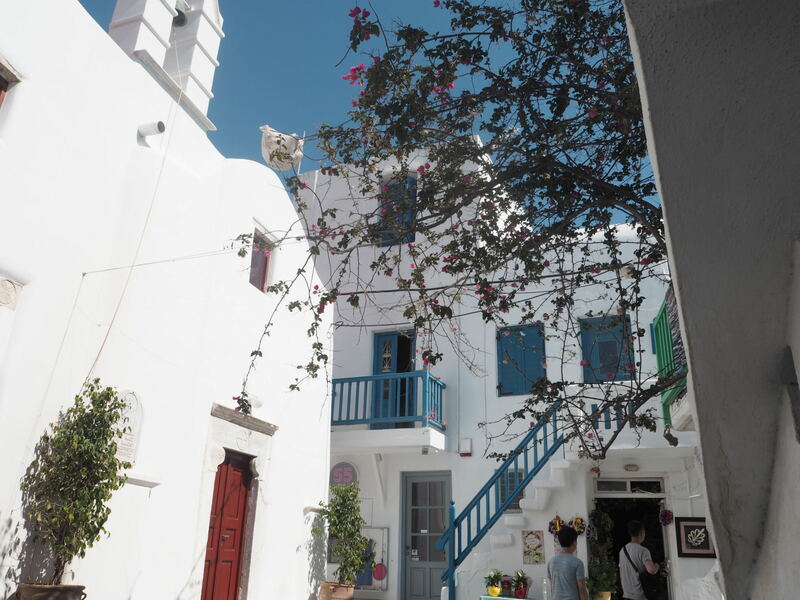 Mykonos has character, views on par with Santorini and the streets are oozing with everything that I thought i’d find in Santorini. Shops, bars, restaurants, tourists, locals…even stray cats. 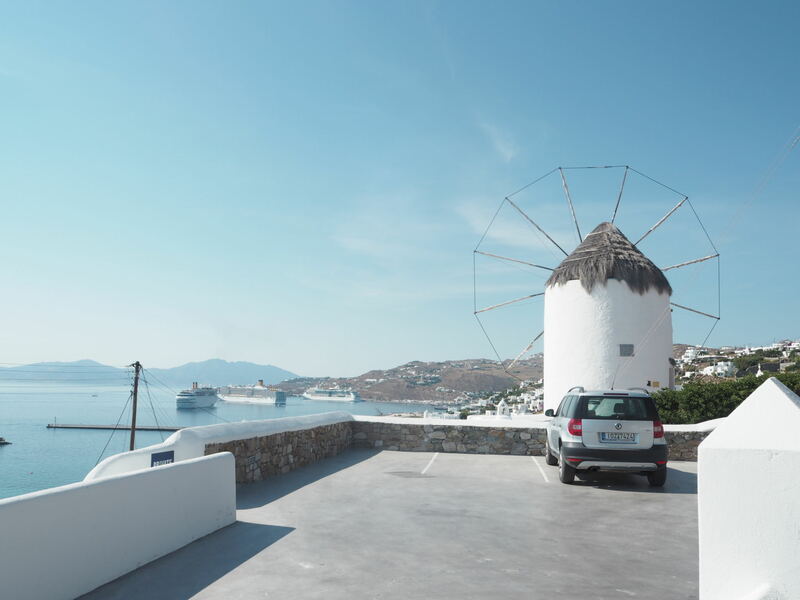 When we first arrived at Mykonos we stayed around the port for a while as we ate and it wasn’t only when we began to wander did we realise just how majestic the Island is. I’m sorry Santorini, you’re beautiful but beauty will only get you so far in life. Mykonos wins, hands down. The Island is romantic. It makes me want to come back here with my other half, but it’s also chic and fun which means I could easily come back here for a girls holiday. There are also so many beautiful restaurants that have beaches in their back garden. 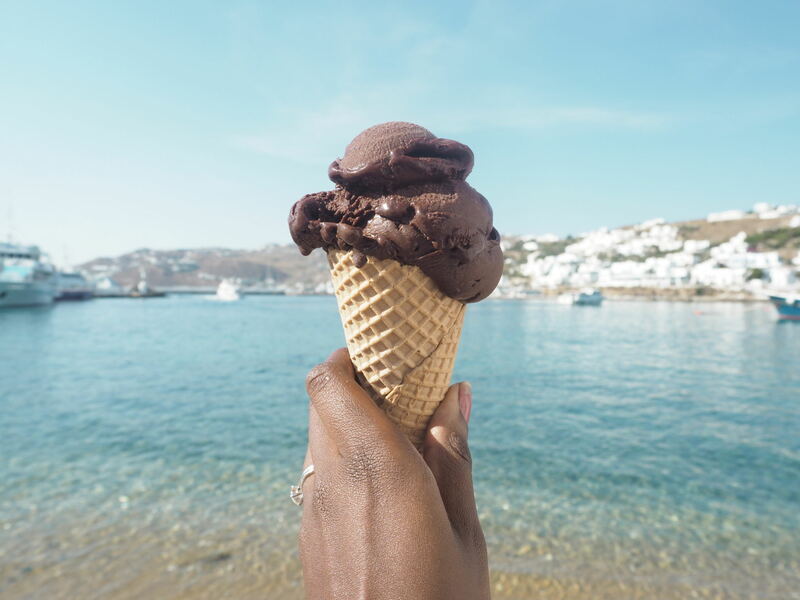 You’re not really on holiday until you’re dining alfresco with a Gelato in your hand! The food is also so fresh and light here, and with extensive menu choices its easy to find something even for the pickiest of eaters. I don’t know what it is, but cocktails always taste better when you are watching the sun set and Scorpio’s is an amazing place to do just that. It’s also a great spot to food too. It follows the Mediterranean diet religiously so expect lots of fresh and wholesome food. If you want an authentic Greek experience, complete with dancing and a meat fast, get yourself down to Blue Myth because Wednesday is Greek night. I love embracing different cultures when I am travelling and what better way to do it than with with food and dancing. Admittedly, this restaurant is a little bit on the pricer side. But if you love your meat, fish and desserts, this restaurant is a must. From the beautifully infused flavours to the food presentation. That Interni is the epitome of the phrase “you get what you pay for”. Mykonos is famous for it’s night life. And when I say nightlife, I don’t mean boozy clubs with people pouring out them. I mean stylish clubs and coffee bars which open to the small hours of the morning where people sit, dance, drink wine and coffee. I’m not someone who enjoys going out in London mostly because of the vast amount of Grey Goose Wankers (GGW) that flood the West End. 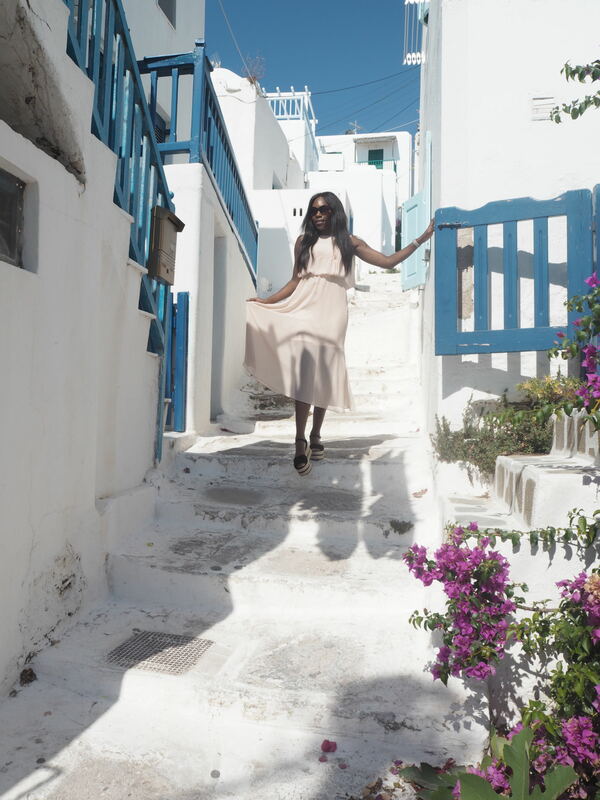 But in Mykonos i’d easily throw on my heels and dance the night away in a club full of strangers. I mean sure the GGW can still be found here in Mykonos but unfortunately that’s life, you’ll find them everywhere. As well as your designer stores, Mykonos has so many beautiful home deco shops. 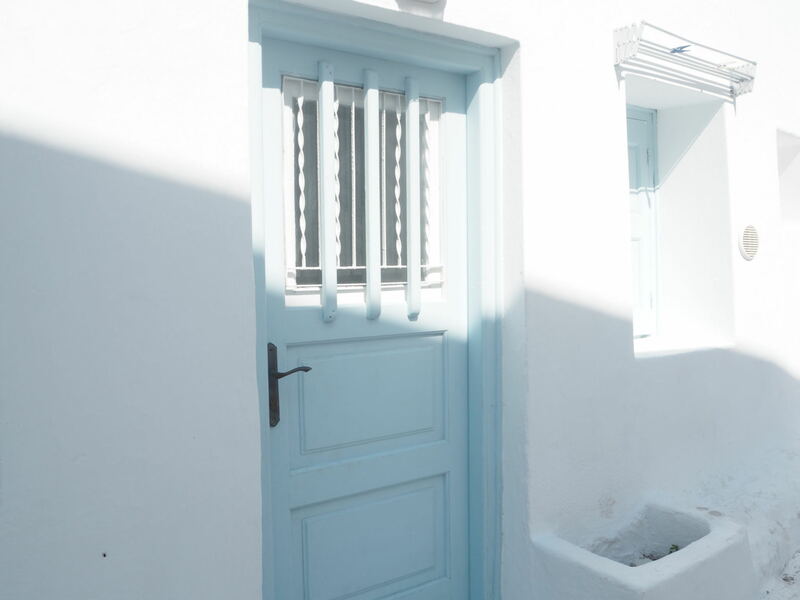 The Grecian blue and white theme remains ever prominent so expect to find yourself filling your suitcase with blue and white trinkets that you have no where to house. 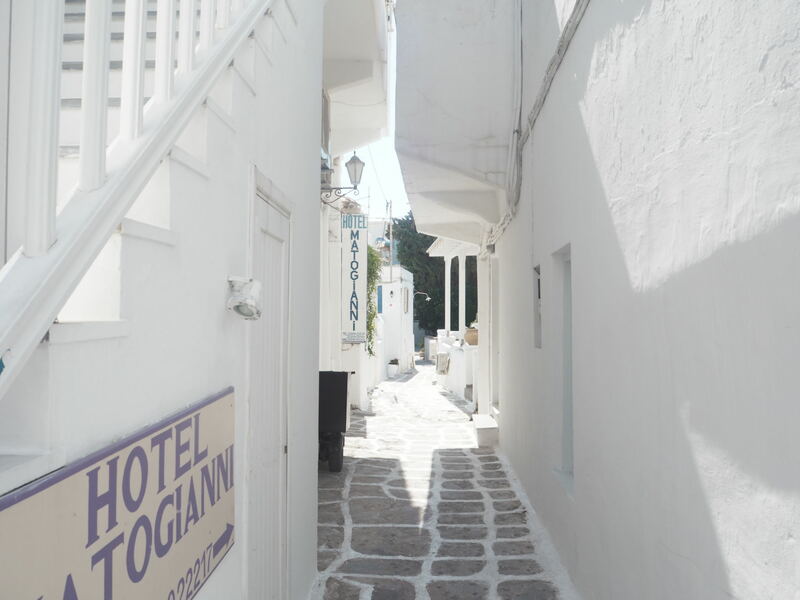 But with that being said, the shopping scene in Mykonos is fantastic for such a small Island. So many beautiful precious stones caught my eye as they shimmered in the sunlight as they sat in the jewellery shop window. Prepare to resit the urge to spend and splurge! 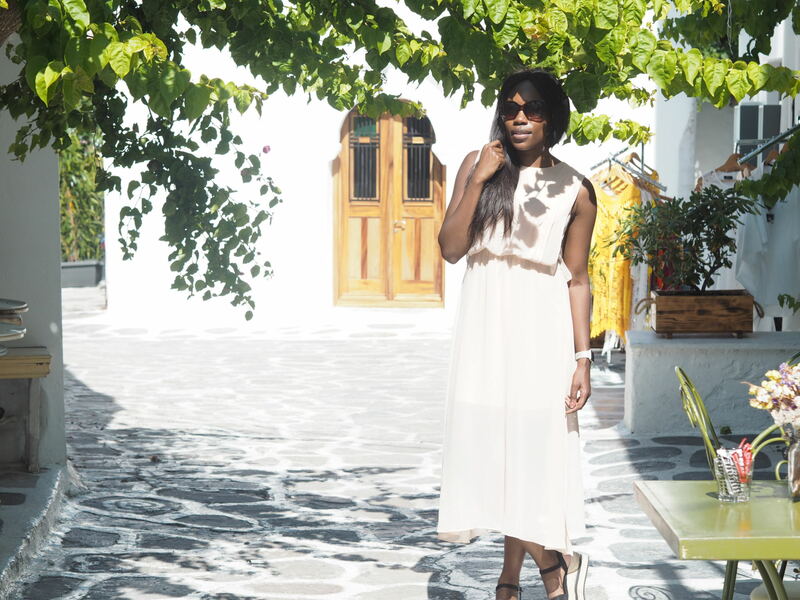 Let me know if you’re ever been to Mykonos before, leave your travel tips below!